Data Realms Fan Forums - View topic - RTD Galactic Reboot! Roll with whatever happens. Shoot people if a fight breaks out, explain the job to the pod-mates if everything goes well. Judith: "Look, ya want money or not?" Two men in suits suddenly appear at the sides of the group. Suit 1: "We'd prefer it if you walked away. Now." You don't know the men, but they walk up to the table, obviously angry, and start talking. Backstory: Born with a cataract in her right eye, Trovare spent the first few years of her life half-blind until her lower class family managed to scrap enough money together to have her right eye fixed at a shady medical clinic in the crime-rampant isolated space station where she lived. While this was successful in removing the cataract, it left her right eye with a distorted eye lens, requiring a heavy optical correctional lens so she could see properly. 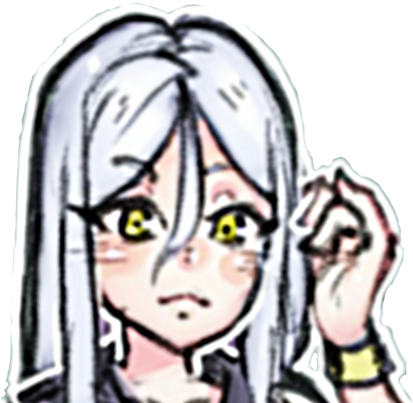 Despite her less than stellar vision, she has a high attention to detail almost to a fault, making her adept in engineering weapons and instruments. A somewhat-short, lithe female in her early 20s. Short brown hair, brown eyes, and pale skin from a lack of natural light. She wears a pair of metal round-framed glasses that only have a single lens, which is for her right eye. Critical Eye - Hold still and analyze. Temporarily decrease Agility by 2 and increase Perception by 4. Steady Hand - Nimble fingers find a place tinkering with delicate machinery or pulling the trigger on the perfect shot. Increase success for fine tasks by 3. Adaptable: 3 bonus passive points. Kark Hopkins - Brown-haired, light-skinned, lanky and roughly shaven. Fellow engineer, often works with Judith to get large builds together and occasionally a competitor on black-market arms dealing. Nothing like a little healthy competition. Charles "Charlie" Harrison - Judith's loyal customer that works as a part-time bodyguard. Short dark hair, slightly tanned skin. Tall and strong, but not exactly a walking mass of muscle. He's decent with a gun, but often misses critical shots. Tabi Konai - Long black hair, dark skin, small frame. Infamous for blowing up government buildings. She has a knack for electronics, be it remote-controlled detonators or rigging up a basic computer from scrap electronics. On good terms with Judith, the two often trading equipment/materials and information or working on a coop project. John Freemaneth - Average height, short hair, athletic build. Pretty sure that's not his real name, but he can't remember ♥♥♥♥ ever since he got smacked in the head with a brick in an alley fight. Judith throws weapons and equipment at him, points him at a job that needs taking care of, and he more or less gets it done, only asking for new toys in return. Backstory: A vanguard colonist and military vacuum repair worker attached to a far outpost of human civilization. Serving aboard the heavy polar-orbit station CMS3920 - a monolith of steel towed from system to system in the belly of super-battleships that drove back the dark frontier - Stennard served three 6-year terms firing exploration crawlers and terraforming packages from his orbital home down into unknown worlds. Nurturing and defending fledgling colonies was not without its dangers, as savage pirates and rivals to humanity assailed the CMS with everything they had to kill its crew and loot the planets. The attack that led to Stennard's honorable discharge from the navy left him bleeding and marooned for 170 days in the guts of the CMS, left behind in the chaos after the evacuation shuttles took away all his colleagues. Trapped in the station's corpse with a burnt radio transmitter, he nearly lost his mind. When late-coming salvage crews cut open the wreck expecting to find valuable equipment, they found only an emaciated man. Returning home to a failed marriage, an Earth family that forgot him and a pension not enough to support his medical debts, he has returned to space to find friendship and make his fortune. Description: Swarthy, shaven skull, scars and lines in the features. Dark eyes which are noticeably sunken in; Stennard shows heavy signs of wear. His shattered chest cavity is partially supported with a mesh of biocompatible plastics - Stennard's breathing is deep and slow, and he chews blue wads of painkilling gum to forget that he is no longer the man he used to be. His disposition is warm, though he has good excuse to be cynical. He is only glad to be alive, to see the stars for some time longer. Will Through Pain - Stennard's hardened system means that for purposes of pain calculation, his dice total is multiplied by 7 rather than 10 in the final step that determines whether he has been stunned by trauma. Null-G Control/Exobody - Intimately familiar with the mechanics of spacesuits, manipulator arms and hard orbital maneuvers performed with shuttles and manned maneuvering units. Excellent working knowledge of life support and orbit-keeping functions of space stations. Rackham Modular Orbital Systems: a firm specializing in all things related to space hab assembly and commercial exploitation of planetary orbit. Architects of the standardized power, life support and data linkage protocols used in civilian stations throughout human space. Its executives are willing to cut Stennard unusual deals, knowing that he is qualified to deliver on their investments. Major Conrad Devlin: commanding officer of the CMS, a war hero and expert pilot who continues burning pirates out on the frontier in a stealthed frigate which has become notorious for bringing just death to ruthless warlords. Assisted Stennard in evacuating the station during its dying descent. Never forgave himself for accidentally leaving Stennard behind. Dr. Genevieve Martel: an ecosystem engineer of some renown, responsible for developing the Martel Optimized Phototroph biosphere that is used for famine relief on backwater worlds. Aboard the CMS during its final moments - Stennard saved her life. Janna: favorite childhood friend. A mathematical prodigy who studied the mysteries of FTL travel in a prestigious Lunar university while Stennard was drafted into the frontier corps. Separated physically, but never forgotten by each other. Race: Twea'd: Bipedal lanky humanoids with 4 long arms. Extremely dextrous but physically frail. Slick Willy: Can talk himself out of almost every situation. +2 to Charisma, +4 if being interrogated. Split vision: No/lower penalty to aiming at multiple things at once. "Nico": A clone bred to be a fighter pilot turned aerospacecraft salesman. Nico can provide and modify anything that flies. Backstory: A bit of a mystery. 3 years ago, a pale girl in a ripped jumpsuit shows up in a battered pod on a no name station in the middle of nowhere, and then through pantomime and a bit of writing, manages to get food, clothes, and travel to a central hub station. From there, she's gone on to make something of a name for herself with an unusual set of innate magical abilities, wordlessly taking all sorts of small time mercenary work to make ends meet. Or at least, that's what everyone thinks she's doing. Whether it's by choice or inability, no one she's met can claim to have heard her speak. Since then, she's found two more people with similar magic to her own, though none are willing to share anything about their background. Her nickname "Celsius" is thought to come from both her skill with thermal magic, and her general behavior as an "Ice Queen". Description: A strikingly beautiful young woman, probably in her mid twenties, with pale skin, a thin frame, and long silvery hair down to her waist. Constantly has an expressionless or vacant look on her face. Never seems to show emotion, never talks. Ice Queen - Her thermal magic allows her to rapidly cool and even freeze things within several feet of her. Works especially well on water, easily forming ice shards. Frozen - Even in tremendous stress or danger, Arica never loses her cool. Resistant to panic or intimidation. "Salamander" Om - An older human man, at least 60 years old. Arica met him on her travels, seems to have similar powers relating to fire. Has great skill with his flames, though not much power. A skilled machinist and welder. "Behemoth" Shorwick - A middle aged man, probably about 30, built like a bear. Arica met him on her travels, seems to have similar powers relating to metal. Can powerfully manipulate metal, tearing panels off walls and warping it with only his force of will. Likes to make improvised armor from the floor and then charge into enemies during mercenary work. Hecate Shorish - Young woman similar age to Arica. Dark skin and hair, energetic and proud. Shuttle pilot, always willing to fly Arica if she's nearby, or really needs it. Met on a mercenary job, became friends after Arica's abilities prevented the shuttle she was driving from meltdown while redlining it to flee from pursuers. Catalina Hendricks - 44 year old woman, owns a successful exotic pet business that sells to stations all across the galaxy. Met Arica while touring one of the retail outlets for her business. Arica entered one the store with an armful of stray cats, hoping to find someone to care for them. Knows a surprising number of people in high places with exotic pets. > Leave with my podmates. Subtly show the men my pistols and tell em to piss off. As Judith, Arica, and Jakob make to leave, airy pulls out his dual handguns, and tells them to "piss off." The men then both draw compact SMGs. >Observe the coming massacre with interest. > Flash freeze an ice spike, stabbing may be imminent. You dash out of the building and jump out of the doors as gunfire rings. You see Kyr fire one shot at one man, who dives behind a table, and fire the other shot at another man, killing him. You grab the drink that Judith was drinking and...6 turn it into a spike, that's actually quite sharp. Kyr fires one shot at one man, who dives behind a table, and the other man is shot, getting his head blown open. You fire once at each man. The first man tackles his boss to the ground, and tries to take cover behind the desk. He makes it as the bullet flies into the wall behind him, and draws at Kyr. The second man tries to fire before Kyr. You shoot him point blank, and he falls over backwards, clearly dead. Patrons now start running out the door. Last edited by TheMysticDreamer on Mon Sep 04, 2017 11:32 am, edited 1 time in total. > Whistle and calmly walk away towards the gunsmith. > I... think... I should go. Follow the other lady to the gunmonger. Should the cover table with both pistols and the shotty. PS you didn't update my pistol ammo. >Holy ♥♥♥♥! My cue to make an exit.